Choosing a bank to trust your money with is a major decision. After all, you’re counting on this institution to oversee your finances. The last thing you want to do is choose a bank that ends up charging you an endless amount of fees or never has someone available to answer your important questions. As you begin your search for a bank in Missouri, you’ll quickly find out you have several options. You could open an account at a large bank, a credit union, or a community bank. Large banks manage billions of dollars in assets and, in general, tend to lack the attentiveness smaller banks are known for. Many of these banks are known to charge relatively large fees. Because of their size, there can be a lot of red tape to cut through before decisions are made (e.g., whether to approve a small business loan). Credit unions are controlled by the people who deposit their money at them. Though members share the profits a credit union makes, these financial institutions tend to offer fewer products than the average bank. What’s more, credit unions aren’t always insured by the Federal Deposit Insurance Corporation, meaning deposits you make may be at risk. Because of their smaller size, credit unions often don’t have access to the newest banking technologies, either. Like the name suggests, a community bank is a locally owned bank that collects funds from local residents and invests in the community in which it operates. Community banks, which aren’t part of a network of large banks, are known for offering highly personalized customer service. According to a recent study, there are more than 52,000 community banks across the United States. We may be a little bit biased here at First State Community Bank, but we believe that if you’re looking for a bank in Missouri, you should seriously consider whether a community bank works best for you. If you’re the kind of customer who prefers visiting a brick-and-mortar bank location regularly, you’ll love the convenience that community banks provide. With branches in nearly 40 towns and cities across Missouri, you’ll never be too far from a First State Community Bank location. It will be easy for you to visit a branch when you’re going about your day-to-day business, and you won’t have a problem tracking down a location when you’re traveling across the Show-Me State. If you’re like most customers, you will do most of your banking online or via mobile. But every now and again, you may need to stop by the branch nearest your home. As this happens more and more, you’ll get to know the tellers and other banking professionals at your local bank. Over time, you can develop great relationships with these folks and trust them to give you financial advice that works best for your situation. Unlike large banks, community banks are known for keeping the money they collect in the local community. By trusting a community bank with your money, you’re also doing your part to improve the community around you. Historically, if a small business owner needed a loan, they’d head to the nearest big bank, apply for funding, and, assuming their financials checked out, be on their way. In the aftermath of the 2007–2008 financial collapse, however, large banks have become much more reluctant to finance small businesses. In July 2018, for example, big banks only approved 26.3 percent of the small business loan applications that came their way. Small businesses power the U.S. economy. According to the Small Business Administration, there are 30.2 million small businesses in the United States, accounting for 99.9 percent of all businesses. Together, these organizations employ 58.9 million Americans—nearly half of the U.S. workforce. Community banks understand how important small businesses are to the overall strength of the country. To this end, community banks are responsible for nearly half of all small business loans in the United States. They’re also responsible for 82 percent of all agriculture loans. Choosing a community bank means you’re doing your part to support small businesses—whether you know it or not. Large banks tend to be headquartered in large cities, such as New York City and Chicago. Because they have so many customers, these larger banks aren’t necessarily known for their personal service. Of course, big banks might deliver the kind of service you’d expect from a community bank to customers who have enormous accounts. But the average customer is unlikely to warrant much attention. Community banks, on the other hand, deliver a personalized level of service you are unlikely to find at large banks. Community banks are heavily involved in the community. In addition to developing strong relationships with your teller when you visit your local branch, you’re also likely to run into these folks at local events in the community. Remember, community banks are run by your neighbors. The bank employees who smile to greet you every time you visit a branch are the same people you’ll encounter as you go about your day around town. You might think that your decision to work with a community bank means that you’re unable to take advantage of certain kinds of financial products. But you’d be wrong. At First State Community Bank, we offer a diverse portfolio of products. No matter what your financial needs are, we’ve got you covered. Personal checking accounts. Whether you’re looking for an interest-generating checking account or you’re a student looking for a free checking account, you’ll find what you need at our community bank. Personal savings accounts. We also have a variety of personal savings account options, including a health savings account that enables you to offset your out-of-pocket healthcare expenses while enjoying a tax deduction. Money market accounts. Looking to make a little more money on interest? A money market account may be just what you need. Debit cards. Tired of carrying all that cash around with you? Secure a debit card and swipe your purchases. While you’re at it, check out our Pocket Change program, which automatically rounds up purchases made on your debit card to the nearest dollar, depositing the leftover change into a savings account. Home loans. Need some help financing the purchase of your home? We’re here to help. Home equity loans and lines of credit. Are you thinking about remodeling your home but aren’t sure how to finance the work? A home equity loan may be the perfect vehicle for you. Auto loans. Are you in the market for a new car? We’ll help you finance it. Need some help in securing a strong financial future for your family? Reach out to our investment advisors to see how we can assist you. And if you’re interested in buying life insurance, we can help there, too. Business checking accounts. Whether your business is a small one or a big one, we’ve got the perfect checking account for you. Commercial real estate. If you’re looking for a new home for your business—or you’re considering investing in office properties—we’ll help you finance your acquisition. Agriculture loans. At First State Community Bank, we understand how hard farmers work—and how important they are to the country. We’ll work with you to find the loan you need to help your operation succeed. Business credit cards. 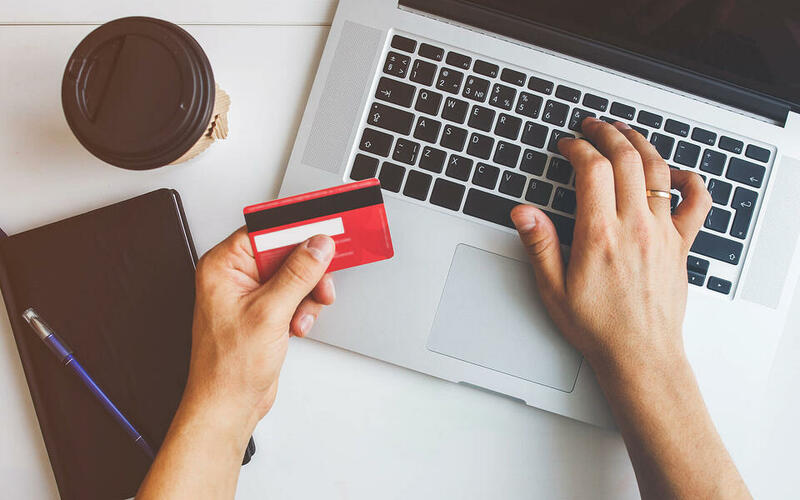 We offer a diverse selection of business credit cards, so you won’t have any difficulty finding the perfect card for your needs. Commercial lines of credit. Do you need a credit line that you can tap into from time to time to cover your expenses or pursue new opportunities? We’ll help you finance your day-to-day. In addition to offering the same products as large banks, leading community banks also take advantage of the same technologies their bigger counterparts use. For example, First State Community Bank offers mobile banking that enables you to make deposits from your phone, pay bills using our iOS or Android app, find feeless ATMs you can use across the country, transfer funds between accounts, and more. Open an Account at a Community Bank Today! Selecting a new bank is a major decision—and one you shouldn’t make lightly. If you’re looking to establish a long-term relationship with a friendly bank in your town, a community bank sounds like the perfect fit for your needs. Community banks are the backbone of the United States. By partnering with a community bank, you can keep your money local and develop great relationships with community bank team members—and if you ever need a loan for your business or home, you’ll have a decent chance of getting one because the decision-makers will know you on a personal level. To learn more about whether a community bank right for you, visit our website.